If you too rely on Google’s traffic as the main source to attract new customers to your business, it is very likely that you have faced the consequences – both good and bad – of the fact that SEO is always changing. As algorithms change, certain approaches to SEO become more powerful than others. This in itself means that businesses need to be aware of what works in SEO and what does not, in order to avoid being penalized by Google. But then, what are some of the key statistics you should know regarding SEO? In order to make it easier to follow what’s going on, we have not only compiled different SEO statistics but then broken them up into the different types of SEO. Hopefully, by the end of it all, you will not only have a better understanding of many of SEO’s main principles, but will be in a position to apply them to your own online strategy. Ultimately, it should lead to your website achieving a better ranking on the search engine results pages. But remember that SEO is indeed ever changing, so don’t rest on your laurels. That being said, allow us to guide you through our stats and facts connected to the world of SEO. 1. “Growing SEO” has been named by 61% of companies as their biggest priority for 2018. Other key findings of this research have shown that generating website traffic has been the biggest marketing challenge and paid advertising was named the “most over-rated” marketing tactic. 2. Did you know how much is the SEO industry worth? Approximately $80 billion. In 2016, $65.26 billion was spent in search engine optimization. This number has risen to $72.02 billion in 2018 and it’s expected to jump to $79.27 billion by 2020. Of this, only one third is spent by bigger companies, while the majority is spent by startups and small local businesses. 3. The conversion rate for SEO is 14.6%, firmly beating the 1.7% conversion rate for traditional outbound methods. Other methods just cannot compete with the conversion rate that follows effective SEO practices. However, this conversion rate can only occur when the correct strategy has been employed. 4. 75% of SEO is actually off-page, while only 25% is on-page. Most people make the mistake of believing that what’s on your website is the key to SEO. Instead, SEO stats show that backlinks, social signals, social media, directories, and many other “off-page” practices will prove to be even more valuable than you ever thought possible. 5. 72% of marketers claim that relevancy is the main leading factor for improving SEO. The idea of relevancy is more important than you realize—it also plays a role in the algorithm used by Google. They actively push websites that are deemed to be the most relevant for keywords, so incorporating that into your SEO strategy appears to be just a basic idea. 6. Search engines drive 93% of all website traffic. If you’ve asked yourself: “Is SEO important in 2019?”, here’s the answer. The fact that such a high percentage of people use search engines to then land on your website shows that you need to be high up on those results pages and be as relevant as possible. 7. According to the search engine usage statistics, at least 50% of all searches will be voice and image-based by 2020. The importance of choosing the correct search terms and keywords for your SEO campaign will become even more vital with voice search. Including image alt tags for each image on your website, with the correct keywords once again, will also help elevate your position on the results pages. 8. 50% of search queries are four words or longer. According to the latest keyword statistics, it’s clear that people are more likely to search by asking a question or making a statement than just use individual keywords. This approach involves what is known as long-tail keywords, and not including them in your SEO strategy means you are missing out on 50% of the total number of searches. 9. Wondering what percentage of web traffic comes from search engines? In 2018, more than 51% of content consumption was driven by organic search. Organic search involves people using terms or words for whatever it is they’re looking for. SEO is designed to make your website more visible for individuals searching with those terms. This stat alone shows the importance of SEO and what you could potentially be missing out on should you not implement the correct strategy. 10. According to the organic SEO stats of 2018, video content is 50 times more likely to drive them than plain text. It has long been accepted that visual content will elicit a better response than the written word alone. It catches the eye quicker than plain text, and people are able to quickly ascertain whether or not video content will be relevant to them. Making sure that video content is correctly optimized from an SEO perspective is, therefore, vital. 11. Updating and republishing old blog posts with new content and images can increase organic traffic by as much as 111.37%. Blogging SEO has already proved to be an effective tactic. Additionally, this approach has the added bonus of taking advantage of the previous links and SEO work that’s been done on the old blog post while also using newer methods to push the content higher. Adding images should pull in even more attention thanks to the role that visual content plays in attracting people. 12. Marketers who use a combination of organic SEO techniques and PPC ads see an average of 25% more clicks and 27% more profits compared to those who only use a single technique. SEO facts and figures have shown that using one single approach is not going to be sufficient. Instead, combining these techniques with PPC ads will certainly increase interaction, since the ads will be displayed to those who will find it the most useful or helpful. 13. Yet, organic SEO is about 5.66 times better than paid search ads. Have you ever wondered how effective is SEO? Now you have the answer. Namely, organic SEO is considered more trustworthy than paid ads by the individuals carrying out the searches. There’s a sense that companies can buy their way into the position without it being the best option for a consumer, which leads to people paying more attention to the organic results than the paid ads. 14. Of the links clicked on after a search is made, 70% are actually organic. Companies that stress paid ads as the way to go are pushing marketers in the wrong direction. While there’s a place for them in online marketing, the majority of a marketing budget should go towards improving organic results via effective SEO practices. 15. Wondering how many searches start on Google? The tech giant receives 96% of all smartphone search traffic and 94% of the total organic traffic. This shows why SEO practices and techniques should be focused on primarily Google’s algorithm. Google’s dominance in the market means your budget should be spent here, even though it’s also where the greatest competition can be found. Also, with Google stressing that websites should be mobile-ready, and with 96% of smartphone traffic going through their website, ignoring that will be a disaster for your campaigns. Mobile web browsing has been steadily growing since 2009, finally surpassing desktop in late 2015. As the latest studies reveal, the past year has further emphasized the importance of mobile devices in search. These stats will help you understand why you need to have a mobile-focused web presence. 16. By 2019, 63.4% of all mobile phone users will access the internet from their smartphone. Search engine optimization stats show that this figure is up from 61.2% in 2018. In 2020, the number of smartphone users worldwide is projected to reach 2.87 billion, up from 2.1 billion in 2016. 17. 69% of all digital media time is spent on a mobile device. With so much digital media time being spent on mobile, you need to optimize your digital content for mobile users. This includes making sure that all content can be viewed correctly from a mobile device while also utilizing the various SEO practices in place for mobile content. 18. A third of all smartphone searches were made right before a store visit. This is one of the mobile SEO statistics that tell us the importance of making yourself as visible as possible since it directly influences the decisions people then make when it comes to a purchase. Also, with it coming via smartphone, people are searching online for confirmation of something before going to a physical store, so if you thought it was all for online businesses, think again. 19. 43% of consumers will do online research even while they’re in the store. Customers are more aware than ever of comparing prices and doing research before parting with their cash. They want to know that they’re getting the best deal possible and not just wasting money. This usually occurs right up to the very moment where money is about to change hands. Allowing yourself to be found online thanks to SEO can be vital until the very last second. 20. According to the 2018 SEO statistics, mobile phones were the source of 52.2% of the online traffic worldwide. This is up from 50.3% in 2017, which isn’t surprising considering how quickly mobile is gaining ground. 21. 66% of e-commerce time takes place on smartphones. With more and more time being spent browsing the internet from a smartphone or mobile device, industries that used to ignore mobile SEO are now finding themselves caught up in a rush to boost their organic search results. E-commerce is an industry that allows various products to be found, and it’s becoming more important than ever before. Mobile commerce revenue in the US is projected to be $693.36 billion by 2019. 22. 51% of searchers are more likely to purchase from a website that’s been optimized for mobile. With Google pushing mobile search more than ever before, this figure is only going to increase over the next few years. According to the search engine user statistics, it is already clear that the traditional way of purchasing products online, via desktop or laptop, has now been surpassed by new technology. If you don’t optimize your website for mobile usage, then you’re automatically reducing your target market by a substantial percentage. Local SEO is now more important than ever before: Google has determined that people want local results, which are seen as being more relevant to them. This relevancy is a huge driving force in SEO thanks to more recent updates to the algorithm. A failure to take this into consideration is going to result in a substantial drop in your organic search position—so many competitors are going to take advantage of these changes when it comes to their SEO strategies. However, these SEO stats will further explain just why local SEO now plays such a key role. 23. After making a local business search on a mobile device, 88% of consumers will either call or visit the business within 24 hours. What this shows is that an initial search for a local business will, more often than not, turn into the potential customer taking the next step—making some kind of contact with the business. Failing to carry out local SEO practices means you won’t appear in these results, and the opportunity will be lost. 24. 46% of all Google searches are linked to something local. Considering the astonishing local search statistics, we can conclude that nearly one out of every two Google searches is now local, it should be no surprise that Google has pushed local SEO forward even further. Any company not taking notice of this is in for a rough ride in the future. 25. 97% of people learn more about a local company via the internet. A local business must be highly visible on the internet because people use social media, directories, and reviews to learn as much as they can about a local company before making contact. Not having a website that’s optimized correctly, or having one that’s missing the correct information, will simply mean that potential customers will march past you to your competitor. 26. 72% of consumers who perform a local search visit a store within five miles of their current location. This stat shows that when talking about local SEO, we truly mean “local” in terms of current location. People also tend to look closer to home if there are a number of options to choose from when prices are within their budget. 27. 92% of searchers select businesses on the first page of local search results. Search engine usage is has been on an upward trend and If your local SEO campaign has not put you on Google’s first page, then there’s very little point in your business existing online. Getting on that first page has to be your absolute minimum target. Obviously, the higher up the page you are, the better, but just getting onto the front page for your intended keywords will prove to be important. 28. 46% of all inquiries on Google are specifically searching local information. In previous decades, people checked their local newspaper or the Yellow Pages for advice on local companies. Those days are gone. Now, the focus is on Google over and above any other search engine, so creating an SEO campaign that results in you being visible must be a priority to your company. 29. 70% of consumers will go to a store because of the information they find online. The level of trust people put into what they read online is clear to see when 70% of them then go ahead and visit a store. Not taking such search engine traffic stats into account with your online marketing means you’ll be fighting to be noticed by the minority, reducing your potential turnover in the process. 30. 78% of location-based mobile searches result in a purchase made offline. Local SEO will not only drive people towards making a purchase online, but it will also bolster the offline market as well. Local SEO does, therefore, have to be multifunctional and accommodate both options. 31. 28% of the searches for something local will result in a purchase. This again is one of the search engine facts that should encourage any company still unsure if local SEO is the way to go. 32. 73% of consumers trust business after seeing that it has positive reviews. Online reviews are the new “word of mouth” in advertising and marketing. People place more trust in what other customers have said about business than what the business itself says. 33. 56% of local retailers have not yet claimed their listing for Google My Business. Optimizing your Google listing should be at the top of your priority list, per the latest Google user statistics. Since your GMB will be one of the first things people see when they land on Google after their search, not claiming it only means you’re missing out big time. 34. 82% of businesses haven’t yet claimed a listing on Bing. Even though Google is the absolute market leader, you can’t forget about other search engines. Bing is the next biggest, as it comes from Microsoft, and yet four out of every five businesses have not claimed their business listing there. As with Google, that means you are less visible to potential customers for something that takes just minutes to do. Link building has long been regarded as a mainstay of SEO campaigns and tactics. However, the problem is that the rules surrounding link building have changed constantly over the years with each update to the algorithm. Although the main purpose of links is to provide your website with a sense of validation, the type of links are now far more important than the number. This is a complete U-turn from several years ago, when spam links were being created to artificially inflate a website’s position. That’s now illegal, and websites will be penalized if caught using that tactic. It may be more difficult, but link building is an essential part of the SEO process, which is why you need to use a marketing company that understands the laws and sticks to them. If you are wondering why it’s so difficult, then these few stats and facts may help persuade you. 35. 65% of marketers affirm that link building is the hardest SEO tactic to complete. We aren’t just talking about basic marketers, here, but also those who are experienced in the art of SEO and link building. Google changes its opinion on how it views links practically on a regular basis, which can be stressful and requires your constant attention. 36. 41% of corporate marketers claim that link building is the greatest challenge in SEO. Within the corporate market, the difference between being in the top five positions on Google and being on the second page is so minuscule that getting the correct link-building strategy can make a huge difference. Also, your competition is constantly working on building their links—you have to follow suit, or you’ll be left behind. It’s only surprising that the figure isn’t higher. 37. Backlinks in Google search trends reached their peak in 2011 and then again in 2017. SEO statistics have shown that 2017 saw significant changes in the way Google viewed backlinks. Now, the emphasis is on quality over quantity, which explains why it has passed its peak. It’s anticipated that there won’t be any major alterations to this part of the algorithm for some time, so marketers can now settle into a plan and execute it accordingly. 38. 35% of clients will spend $1,000 a month or less on their link building. The boost that link building can make to your turnover per month is pretty substantial, but in order to achieve this in a tough competitive market, you need to be prepared to lay down the cash for an experienced link building marketer. While $1,000 a month may sound like a lot, quality links can increase your turnover by several times that cost. 39. When it comes to their SEO budget, 53% of clients dedicate a quarter of it or less to link building. With any form of SEO, you get out of it what you put into it, and this is especially true with link building. This important resource deserves more than just 25% of your budget since it’s one of the main focal points for getting the best possible results. Other SEO tactics may move you up in the search results, but effective link building can keep you there. Google is the absolute king of all search engines, leaving everybody else in its wake. That’s why people carrying out SEO campaigns tend to focus primarily on Google over and above any other search engine. However, some people prefer to focus their attention on other search engines due to there being less competition—but when you look at these stats, you may realize you’ve been missing out on a substantial part of the market. 40. hen it comes to desktop search traffic worldwide, Google’s percentage of the search market is up 71.98%, with Baidu at 14.04%, Bing at 7.76%, and Yahoo at 4.44%. What this one single stat shows is that everybody else is fighting for the scraps left by Google. However, with close to three out of every four searches being conducted through the search engine giant, only working within those scraps doesn’t make sense from any perspective. 41. The first position on Google’s desktop search results has a 34.36% click-through rate. When it comes to the coveted first page of Google, statistics show that you shouldn’t underestimate it. In fact, as you move down the first page, the CTR drops, with the majority of people choosing one of the top three results compared to anything else that they will then come across in their search. 42. Google’s first-page results contain an average of 1,890 words. Marketers have to make full use of their meta details to stand out from the crowd. Use the full character limit to provide first-page visitors with as much information as possible, and make sure that you include your keywords as well. 43. If there’s a video on your site’s landing page, you’re 53% more likely to show up on Google’s first page. Video content, as well as images, are viewed more favorably from an SEO point of view, but only if you optimize them correctly. Make sure the video doesn’t compromise the way your website loads and operates, which can increase the bounce rate and hurt you. 44. There are approximately 71,780 Google queries per second. Of course, not every search is going to involve you or your keywords, but this stat indicates just how busy Google is at any given time. Believing people will simply find you when there’s so much competition is professional suicide and the very reason SEO must be at the forefront of your overall marketing campaign. 45. But, how many Google searches per day? The search engine leader processes at least 5.8 billion search queries worldwide. Of those queries, 15% are new and have never been searched there before. The reason this stat is so important comes from the 15%. This shows that there are always new keyword combinations worth exploring as people constantly change what they use to make a search. From that 15%, it is merely the wording that changes, not the topic. Think outside the box, and you will be amazed at what can be achieved. 46. When it comes to Google searches per year, it’s certain that the number surpasses the 2 trillion mark. The number of Google searches has been steadily increasing over the years. In 2012, Google noted 1.2 trillion Google searches per year. Nowadays, it’s clear that the number of searches is rapidly approaching the 3 trillion mark. 47. As to how many people use search engines on a monthly basis, the answer is over 1 billion. Consequently, the estimated number of searches happening on Google each month is 40-60 billion. 48. Google is the source of 44% of all website referral traffic. Referral links can drive a substantial amount of traffic to a website. Claiming your listing and getting the Google spider to crawl your website so it can be listed is a basic necessity. This cannot be ignored when almost one out of every two visitors is going to come via Google. 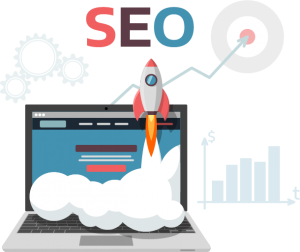 Of course, if you fail to carry out an SEO strategy, then it will certainly mean you’re no longer as visible, and that percentage will drop accordingly. 49. Want some scary SEO facts? Check this: 80% of Google’s users ignore its ads. Google stresses that its ads work, but then saying so contributes to its income. However, when four out of every five people ignore it, you start to see why organic search is actually the most important thing of all. Put your budget into developing your organic results rather than wasting it on Google ads, and you will get a superior ROI. The impact of SEO on social media cannot be underestimated. Google has made sure that SEO forms an integral part of its algorithm, and that has led to marketers taking steps to incorporate it into their plans. There must be clear links between social media accounts and websites, where one can lead to the other. Pages on social media accounts and discussions using brand names or keywords can also have a huge impact on organic search results. Considering its value to individuals from a social point of view, the very idea of forgetting to include social media in your SEO campaigns is crazy. Perhaps these social media stats will strengthen the point that we’re making and will further convince you in the effectiveness of SEO. 50. Out of the marketers who’ve been using social media for at least a year, 58% have seen improved search engine rankings. SEO takes time to develop results, although people believe it happens overnight. But this stat shows how marketers who incorporate social media have seen a sustained improvement in their rankings. This is something that has to be worked at continually to gain the results you want. 51. According to the 2018 SEO stats, 74% of companies and 82% of agencies say that social media is either somewhat or highly integrated. This figure has grown quite considerably over the last couple of years, as Google continues to push the idea of social media and SEO into the limelight. This is reflected in the way so many companies have integrated it into their strategies. 52. 71% of customers will likely recommend a brand to others if they’ve had a good social media service experience with it. Social media interaction with customers can be highly effective in increasing not only brand awareness but brand reputation. People often see a brand’s social media page as an alternative way to contact their customer service department, and it is up to you to make sure that they are treated in the correct manner. 53. According to the SEO statistics for 2019, 86% of women will check a product or service out on social media before they choose to make a purchase. Once again, this shows the faith and belief that people have in social media, especially when it comes to spending money. People often use these platforms to look for feedback on a business or product. 54. 40% of people prefer to spend more of their money on companies and businesses that are engaging on social media. Many people feel that companies with a social media presence are more modern and up to date on new technology. There’s also a sense that these companies are open to interactions with potential customers, which helps build confidence in their brand. It should be no surprise that people are more likely to spend money on a business that’s friendly, attentive to customers, and willing to handle things out in the open where other potential customers can see. Here’s one of the evergreen SEO statistics: content has always been another one of the key pillars of search engine optimization. In previous years, the way keywords were introduced into it was its backbone, but that led to people squeezing in keywords more and more. As a result, we saw the quality of content drop as websites sought to take advantage of the search algorithm. This led to Google making changes so that low-quality content would be penalized because providing visitors with something useful should be the most important thing of all. Ultimately, quality content is going to have a profound impact on your marketing campaigns and the success of your SEO strategy, which is proved by these content marketing stats. 55. 72% of marketers believe that relevant content creation is the most effective SEO tactic. Relevant content should be at the absolute heart of your SEO strategy. According to the most recent search engines statistics, providing value to readers is key. The use of keywords within your content must be natural and not forced, nor can it diminish the relevancy of the content. If you’re just starting to work with SEO, look to your content first. 56. Better content can drive traffic to a blog by up to 2,000%. Better content will not only gain more views, but a blog can also be shared, thereby increasing the number of valuable links. Sharing content in this manner has been shown to increase the blog’s traffic significantly, but this only occurs when the content itself is relevant and worth reading. 57. Companies that produce a blog have 434% more search engine–indexed pages than those that don’t. SEO statistics have shown that Google will crawl each and every page of a website, so that means every single blog post can be an opportunity to further enhance your SEO strategy. Clearly, the post’s content should be high quality, but then adding in images or video, keywords, internal links on your website, and external links to your social media profiles will further boost the indexing process. 58. 81% of businesses think their blogs are an important tool for their business. Blogs are indeed a valuable marketing asset as they allow a business to better engage with visitors to their website. Each post provides them with the opportunity to go ahead and put across their point of view, descriptions of their products or services, or anything else that they believe will be relevant. Readers will then feel like they’re getting to know the business, improving their confidence in that business’s ability to deliver on its promises. Video now plays a more important role in SEO and organic search results than ever before. It’s appearing on more and more websites, but there is a real need for the video to be relevant and fully optimized, not only for the viewer, but for search engines, as well. As technology improves, especially in smartphones and mobile devices, the ability to view a video without it freezing constantly becomes far more commonplace. When it comes to their search algorithms, Google has responded by promoting video content as a valuable resource, which is why you need to consider using it as part of your strategy. 59. In 2019, it’s expected that 85% of all US internet traffic will surround video. Knowing in advance the percentage of internet traffic that will be video, you have time to implement the correct strategies to take advantage of this increase. Being able to plan ahead in this way is an important aspect of SEO—being left behind by your competition might prove to be fatal. 60. Your search traffic can double if there’s a video thumbnail in your search results. Repeated studies have shown that we are more likely to be drawn to moving images, or the potential of moving images, than just simple text, and many SEO stats have proved the effectiveness of this tactic. Having a video thumbnail appear in search results will increase visibility, which will always help increase search traffic. 61. Video content is 50x more likely to drive organic search results than plain text. This stat alone proves just how valuable video content is right now. When you consider the earlier stat showing that 85% of US internet traffic will be video, then you get a better understanding of why more marketers and SEO experts are turning their attention to optimizing video content. 62. The click-through rates for video emails are 96% higher than those without video. If you thought that video only applied to websites, then think again. SEO statistics have shown that incorporating it into emails is highly successful from a marketing perspective. As has been mentioned numerous times before, people pay more attention to video, and as long as it leaves them feeling intrigued, there’s no reason why that CTR won’t increase. 63. While only 20% of people will read the text on a page, 80% of them will watch a video. If you still require further proof of the power of video, then this stat should be all you need. A video containing a relevant message will always prove to be more popular than text, with four out of five people watching it, while only one out of that five read the text. SEO is not an easy thing to master, and that’s why getting the correct advice is always important. Because Google’s algorithm keeps changing, you have to stay on your toes and constantly update your SEO strategies. Getting onto that first search results page is essential, and yet doing things in the correct manner is even more important. Failure to do so could result in a Google penalty, which may send you into search engine oblivion.